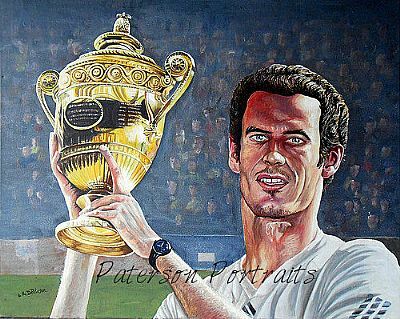 David Paterson a talented self-taught artist and portrait painter from Elgin Scotland with a background in decorative arts, has no formal art qualification above O-level art at school, it wasn’t till his early 20s that David took an interest in drawing and painting as a hobby. He has two diplomas; Computer Data Processing and Small Business Financial Management. Having had a varied career working in the construction industry and data processing for many years he is now able to dedicate most of his time to painting and drawing. He also has an interest in photography which is often utilised in his artwork. In his spare time he is a keen musician and plays guitar with a love for rock, pop and country music. With over 30 years’ experience, David’s speciality is the painting of portraits although his work covers a variety of subjects including landscapes, animals, pets and still life. He works predominantly in oils and acrylics, but also creates graphite portraits and drawings. His landscapes are colourful and realistic, reflecting his point of view and feeling for his surroundings. 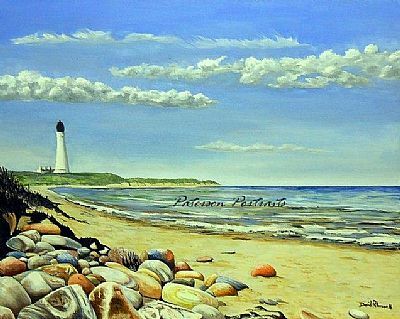 With a passion for Scotland’s scenery and people and discovering his talent for drawing while living and working in the historic area of Moray, he has continually developed his skills in painting over time, learning different techniques and studying other artists has helped him to find and develop his own individual style. With his personal approach to creating his art has commissioned hundreds of fine graphite portraits, and many oil and acrylic portraits. “In portrait painting capturing the individuals’ characteristics and facial features with realistic accuracy and natural skin tones is my goal”, David’s portraits show realistic true colour with accurate detail. His portraits are all created using traditional methods with high quality paints and materials. 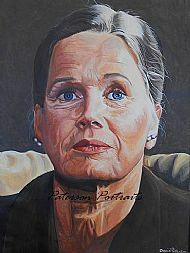 Using a basic palette, he uses colours that are natural, resulting in beautiful fine art oil portraits and paintings. David’s talent as an artist gives him great pleasure which he hopes will be shared by you, through viewing and owning his art. He believes art is not only decorative but can emotionally affect and improve your environment and well-being, therefore his art is intended to please the viewer and do justice to the subject, resulting in a piece of art which can be owned with pride. You can connect with the artist and view his photography by opting for on of the links here. Art for the individual is a personal choice and tastes differ over many genre's and styles. All David's portraits are unique not only because of the subject in the painting, but also for the artists style and skill. This takes your beautiful unique work of art beyond photography. Having studied the French Impressionist's, Davids admiration of their ability to portray shape, colour, light and shaddow has influenced his landscapes. You will find David on Google+ promoting his work and dicussing his latest projects. At Paterson Portraits we aim to provide the discerning customer/client an exciting and pleasurable purchasing experience, where they are involved from beginning to end. Our returns policy adheres to distant selling and consumer legislation, and we give you 28 days after paying your deposit to cancel without question and for any reason, where you will receive a full refund of your deposit. After which your deposit will only be refunded in the event your portrait did not arrive to you, or it arrived damaged, in which case you will be refunded in full, incluing any postage changes and additionally any expenses you may incur by returning your portrait to us. Canvas prints are available to purchase on request from the contact page. Please Contact us directly for details. Thank you for visiting our site and I hope you enjoyed my art.